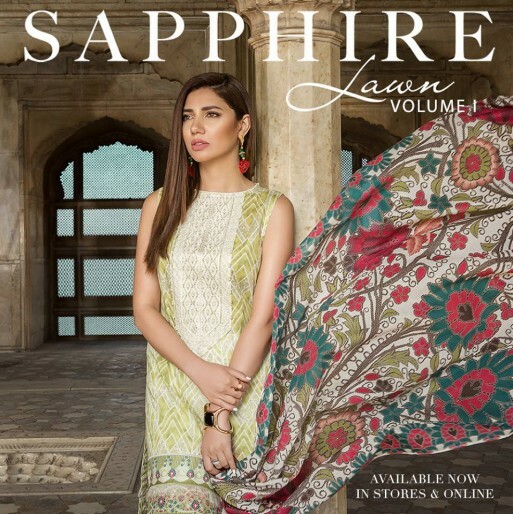 Wonderful Latest Sapphire Eid Collection of 2019 is just at your doorstep. Lets geared up girls. Stick to your devices as soon as possible, you should not miss this opportunity if you want to look extraordinary on this eid. Sapphire is a name that carries an excellent reputation in the world of fashion. 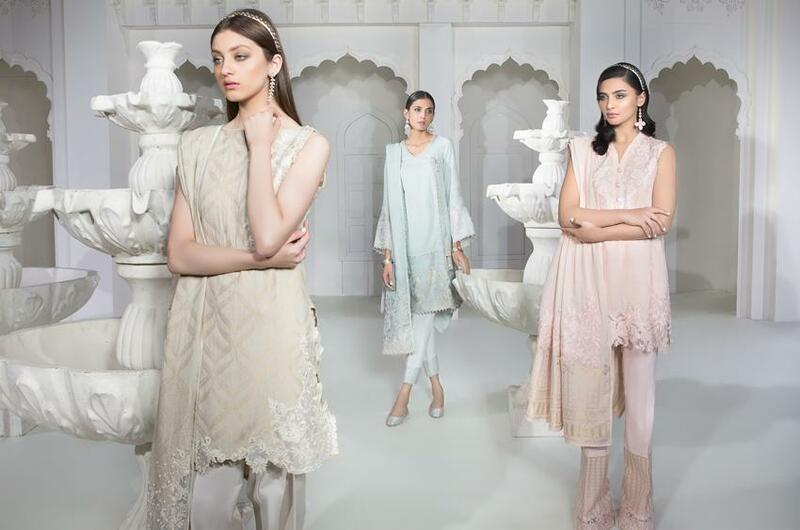 This summer Eid Festive collection is calling for the stylish person from all over Pakistan. 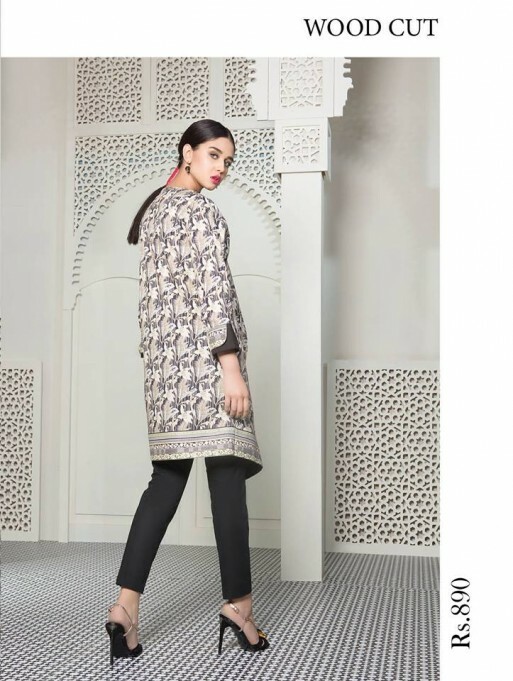 Sapphire collection of Eid ul Fitr consists of Formal Wear, Unstitched Fabric, Daily Wear, Party Wear, Silk Tunics and a wide range of trousers, shoes, and jewelry. Consider it as a gift from the team of Sapphire. In other words “EID MUBARIK”. The little adorable moments of this eid will be more joyful and glorious if you use the quality products of Sapphire that are specifically designed for the Eid. People who are looking for vibrant color, new quality, latest design, up to date fashion, newest styles and clothes that is worth buying then you should visit Sapphire stores or website of Sapphire and see it yourself. Girls! your wait is over. 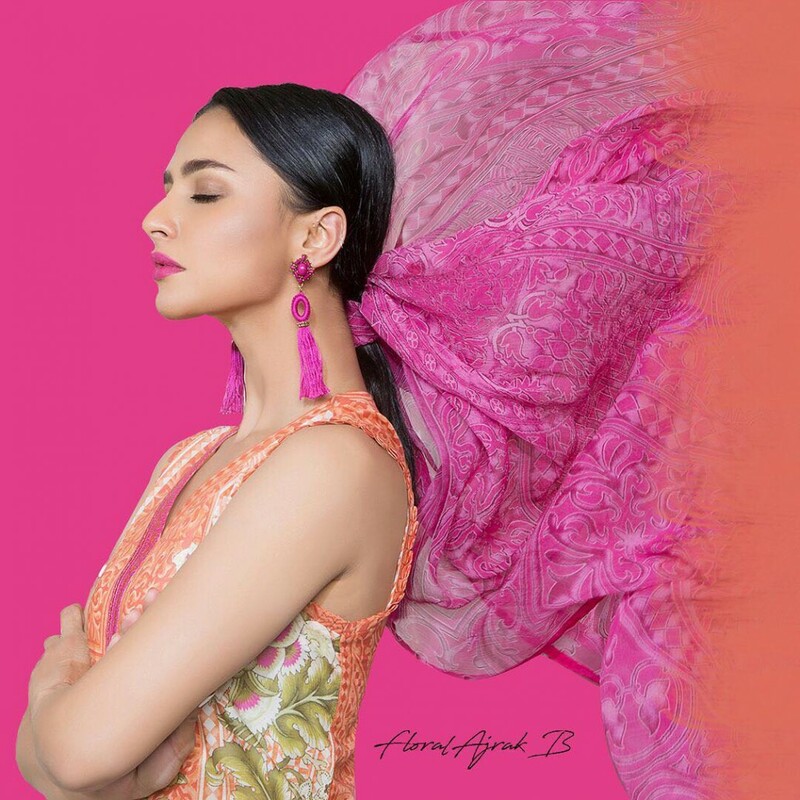 The brand new Sapphire Eid collection 2019 is at your doorstep. This brand doesn’t need any introduction. It’s commitment to delivering quality fabric stuff over the years that made it the Giant of Pakistani Fashion Industry. It is also hoping to build further on its reputation. 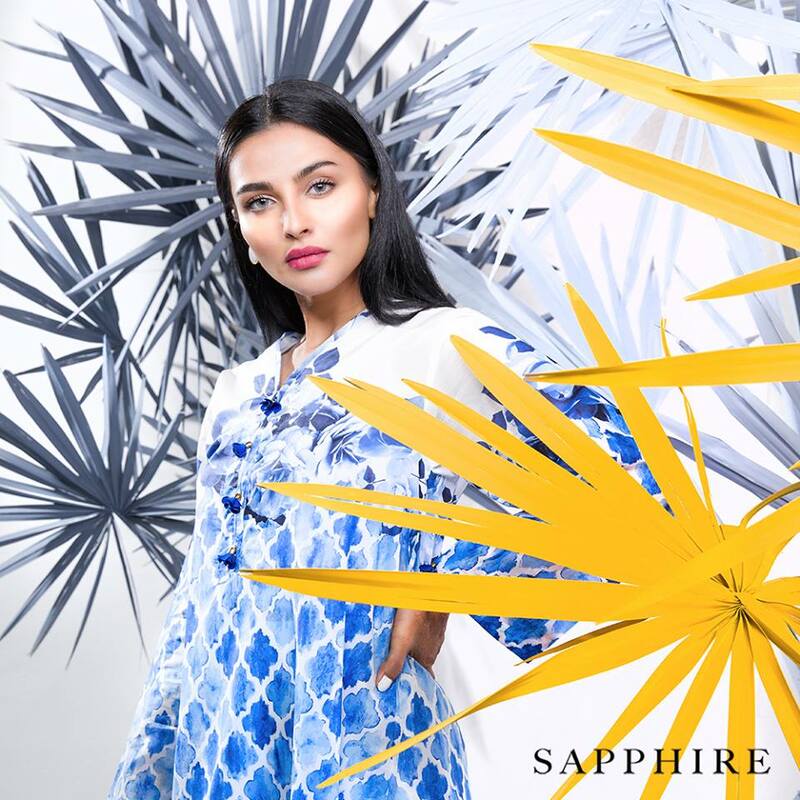 Sapphire has formed a partnership with KHADIJA SHAH, also a well-reputed brand name of the fashion industry. 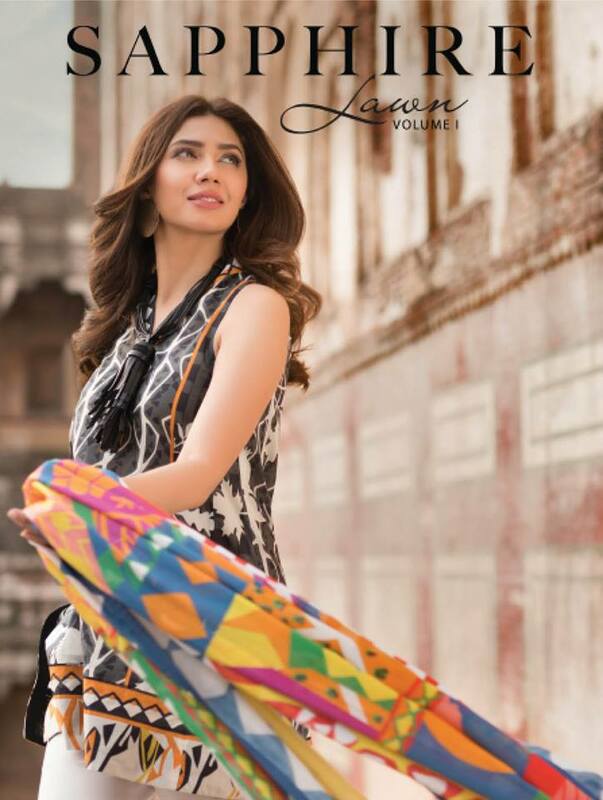 This Summer Eid Collection is very cheerful with bold digital designs, floral patterns, and radiant colors. The varieties of colors and work of fashion designers is an inspiration for everyone. Also, our recent Eid dresses for girls can inspire you by their great diversity. 1. 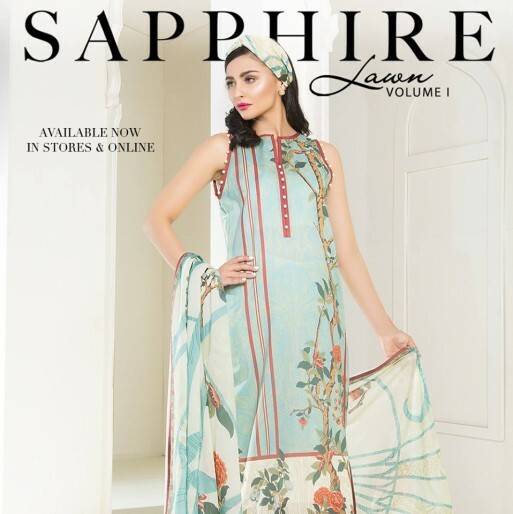 Sapphire is a high street brand of Pakistan. Sapphire is in the business for more than 50 years and earned a well-reputed place in the fashion industry. 2. Sapphire offers plenty of varieties for girls of all ages like Lawn, Chiffon, Linen suits in both stitched and unstitched manner. 3. Sapphire also has a lot of things for boys. Sapphire has a large number of varieties for boys like Kurtas, Shalwar Kameez, and Waistcoat. This is enough for everyone to decide that you can visit the stores and websites right now. As for the Eid Occasion, just don’t miss our Eid dress collection for women and girls as they are gonna make your mind for the best combination. 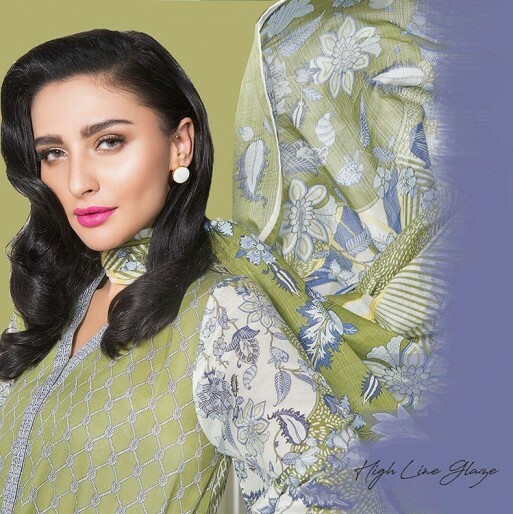 Sapphire unstitched collection for Eid ul Fitr 2019 has tremendous varieties and colors in its category. 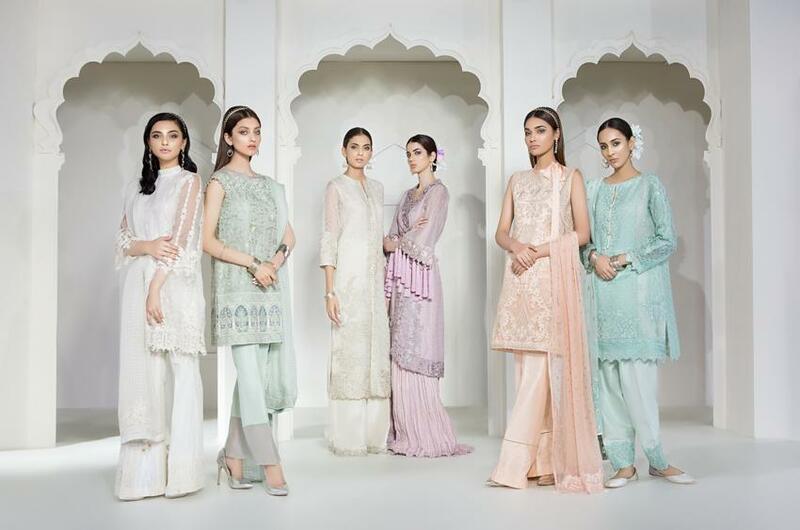 People from all over Pakistan can enjoy this Eid festive with this collection. Overseas Pakistani can buy this outstanding collection by online or their relatives and friends can send them as an Eidi or a gift. Fellows that are living in other countries can embrace their identity and culture by celebrating this eid in a traditional way. 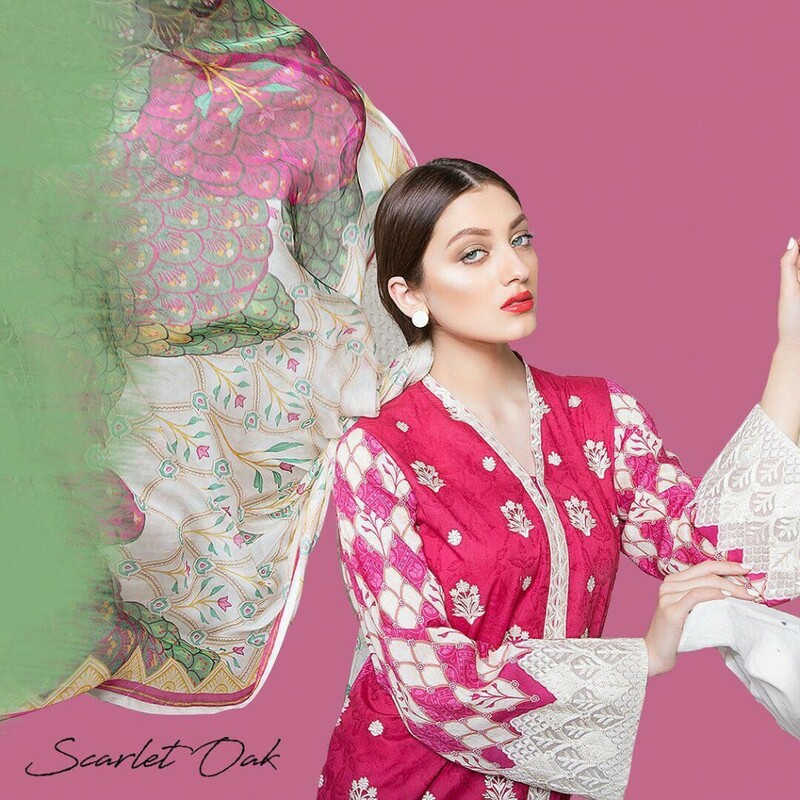 Sapphire Summer Eid Collection offers huge varieties of unstitched stuff like Lawn and Intermix in printed, solid colors, light colors and embroidered. This collection is an excellent design and high-quality fabric. Our Maria b Summer Lawn Collection by top pakistani brands is also in in market. Dont miss to check it. 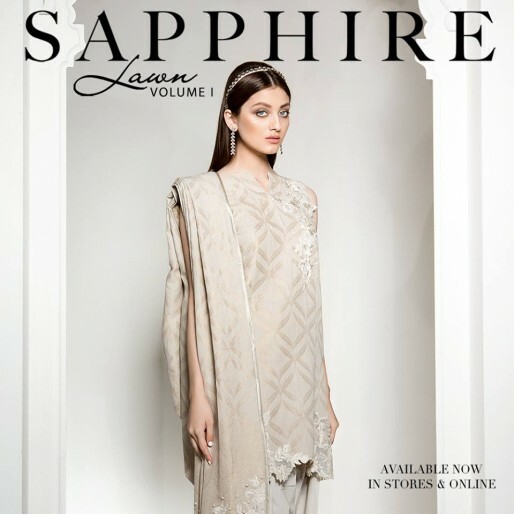 This Summer Eid will be more enjoyable with the collection of Sapphire Ready to Wear Collection. Sapphire also have to offer a massive range of dresses for girls of all ages. Enjoy this summer eid with Fusion Tops, Printed Cloths, Embroidered, and Solid Colors of Sapphire for this festival. The color collection, printed design, embroidered of this coming collection is an updated version of all previous clothing. Our ready to wead eid collection is also waiting for your reviews . 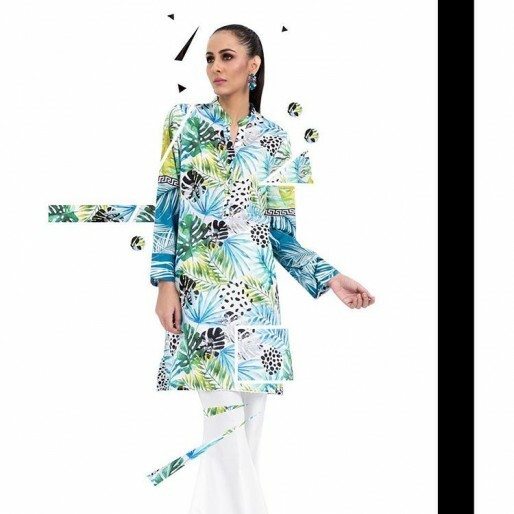 All you have to do is just go and grab attractive Eid Summer Collection that will increase the amount of your beauty and represent your personality with the enhancement version. As you know Sapphire is really friendly when it comes to prices. All these clothes are affordable and worth buying. Sapphire does not charge extra and try to make the profit by giving you a burden that limits your expenses, like some other brands. Sapphire needs your trust and in return, it just wants your love. So guys worry not, buy this collection, visit stores, and with this collection make your photo and video album like Titanic. 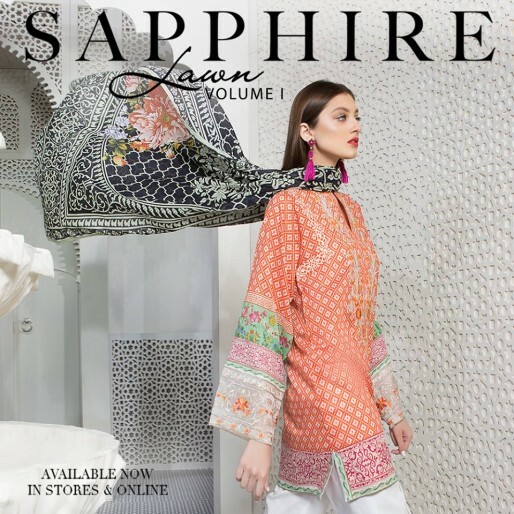 Sapphire new Eid collection of 2019 has Sapphire Eid Lawn, Sapphire Lawn Embroidery, Sapphire Printed Lawn, Sapphire Coverslips and Sapphire Ready to Wear for Eid ul Fitr is awesome. The price is affordable and has a massive range of colors. So why just sit back. I think we should keep in touch with Sapphire and buy this collection as soon as it arrives on the stores or website. Don’t forget to leave your comments below. Guys enjoy this Eid festival, congratulate others with “EID MUBARAK” and make a lot of Hashtags and please tag us also.